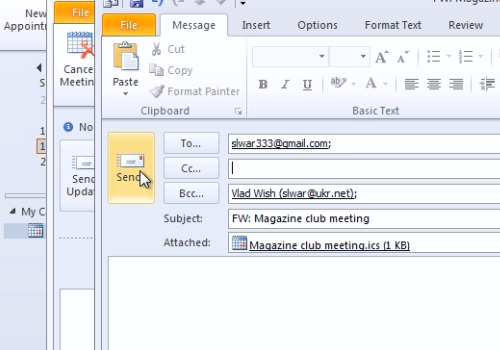 In this video tutorial we will show you how to add bcc in an outlook calendar invite. In the following calendar window, click on the meeting. 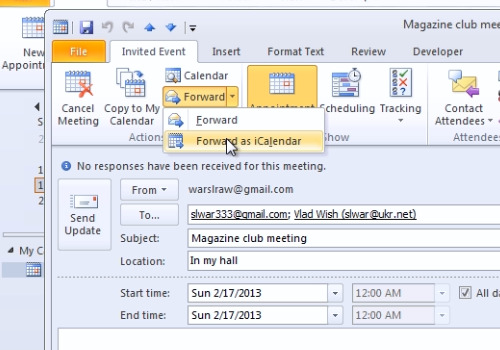 In the appeared window, click “Forward” and in popup menu select “Forward as iCalendar”. 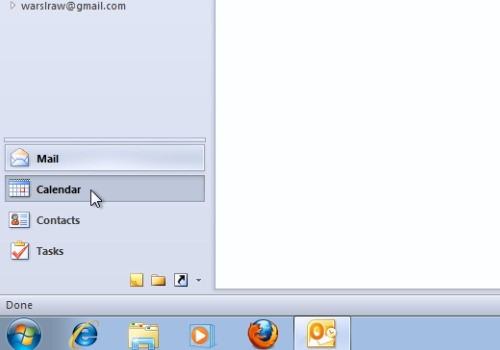 In the following window, you can add an email address in the “Bcc” line and type in the main email address where to send. Then press “Send” button.